Weight issues, especially for women, are a constant source of consternation, often lingering ceaselessly in the back of their minds. The very concept of the ideal figure is a falsehood, fabricated over generations by idolizing borderline anorexic models. And while the fashion and beauty industry is evolving, renouncing unhealthy practices and becoming more inclusive in terms of the body types it projects and supports—certain myths about weight have continued to persist, especially amongst the uninitiated. Time for some fruity fun! Beauty is often erroneously equated with weight. Your body type is established largely by your genes and that is something every woman needs to own and accept before delving further into the weight question. You could weigh more than the woman walking next to you in the park and yet be much fitter. 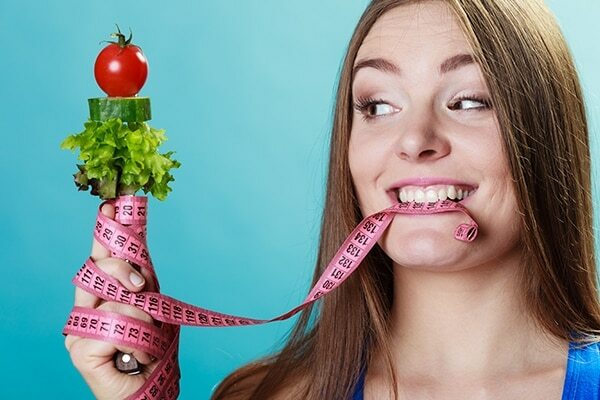 That said, a considerable part of being fit comes from regular exercise and eating right, the latter bit believed by most to be of critical importance, and while being overweight is nothing to be ashamed about (it is for many women a result of a medical condition and in that sense, even more, difficult to tackle), there are ways to shed those extra, unwanted pounds without really trying to starve yourself to death. On the upside, losing weight has been seen to boost the confidence of women, both in personal and public life, and overall, is just a healthier way of living your life. 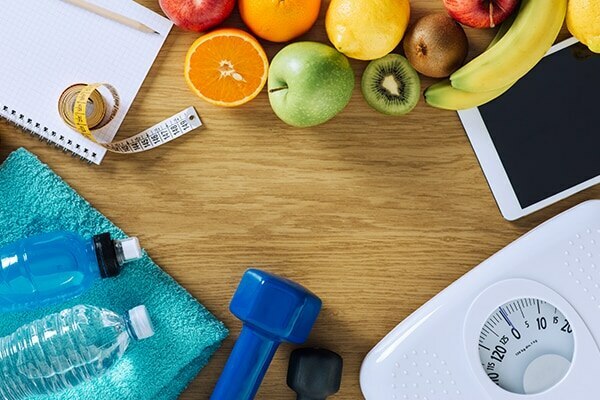 To aid you in that journey, we’ve curated a list of weight loss foods that you can include in your diet without having to worry about your weight every morning as you check the scales. Fortunately for you, not only are they wholesome and nutritious, they can satiate both, your taste buds as well as your hunger pangs. 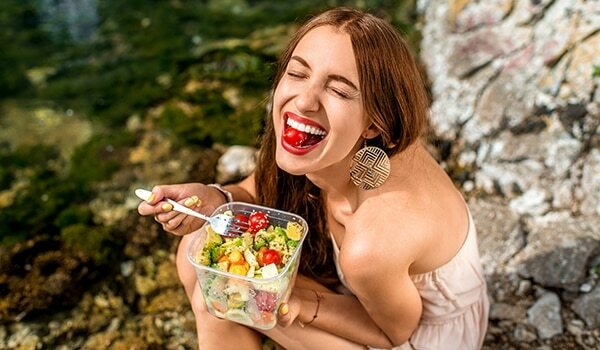 Psst, these foods also make sure you have a healthy digestive system which in turn results in healthy glowing skin. Greens, whether leafy or cruciferous, are something your guardians have been telling you to consume every since you were a kid, and for all the right reasons too. 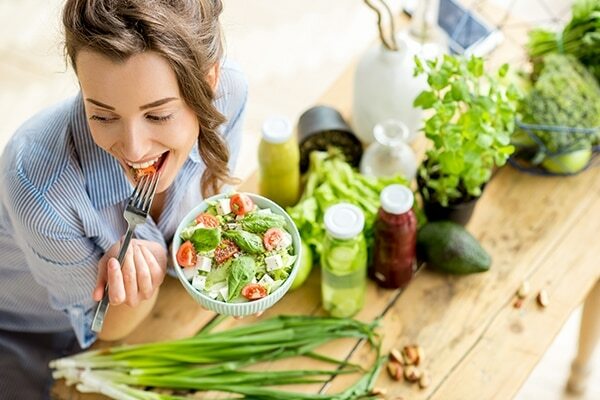 Vegetables such as kale, spinach, broccoli and cabbage, to name a few, are low on calories and carbohydrates and rich in fibre, meaning that they’ll keep you feeling full for much longer after you’ve had your meal and not add to your calorie bucket either. The ones like broccoli and cauliflower also have some amount of protein in them (although not as much as in animal foods or beans) and are highly nutritious, containing vitamins, minerals (calcium is known to be a fat burner) and even antioxidants. So what are you even waiting for? Pick up that bowl make yourself a mean salad already! Potatoes have for long, and falsely so, been considered as sort of a disgrace to the diet world. Nothing, however, could be farther from the truth. Potatoes are princes of the diet kingdom, containing just about everything needed to keep you in good health. They’re high in potassium (helping keep your blood pressure in check) and fibre, having been known to keep one satiated for long periods of time (no more unhealthy, untimely snacking!). What’s more? Potatoes, after being boiled and allowed to cool, form considerable amounts of ‘resistant starch’ that is known to aid in weight loss as well. Tried to eat them baked and not fried though (those chips, although delicious, won’t really help in the weight loss journey). For all, you vegetarian protein junkies out there looking for an alternative to meat, beans and legumes are the answers to your dilemma. 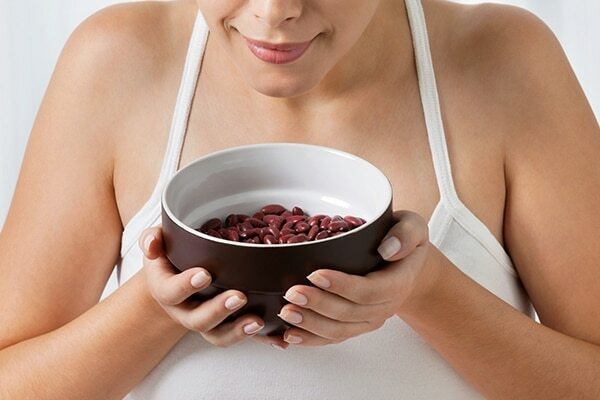 Beans (be they black, navy or kidney) are rich in protein and fibre and can help you lose those unwanted pounds, contributing to muscle building in the process as well. Beans are also known to contain certain amounts of resistant starch, which sort of makes them a must have in your weight loss diet. Legumes like chickpeas, just as beans, are pretty high in protein content as well. You can roast them, toast them or even make a hummus dip from the chickpeas (it’s all weight loss certified!). Make sure they’re duly cooked through, especially if you have a sensitive stomach. An apple a day might not really help you avoid a visit to the doctor, but it can certainly help keep those extra unwanted pounds away. Fruits are rich in fibre and even though they contain natural sugar, it is of low density and the fibre prevents it from being released too quickly. Fruits like pears are extremely low in calories as well and contain pectin, which is known to keep one satiated for a considerable period of time. Those containing flavonoids, such as strawberries or blueberries, are also known to help in weight loss, with the anthocyanins found in blueberries only aiding in the process. Avocados, on the other hand, are a special fruit high in healthy fats, instead of carbs, and are rich in potassium and fibre as well. So whether you want a fruit salad or a smoothie, go right ahead. Fruits sure are a delicious way to lose weight. 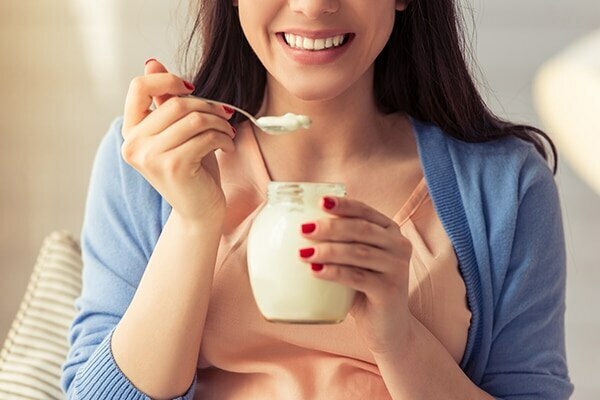 Yogurt, especially one with active cultures, contains probiotic bacteria that are known to keep your gut healthy and your digestive functioning at optimal levels. A healthy gut, in turn, helps protect you from hormonal issues that are often known to turn into obesity problems. Do try to opt for full fat yogurt though, as the low fat varieties contain considerable quantities of sugar (carbs alert!). Full fat yogurt can also help you effectively deal with type 2 diabetes over a course of time. Whip yourself some delicious yogurt then, and watch those calories keep their distance. You can use them to make porridge, make cookies from them or even bread; oats are fibre-rich, cholesterol controlling weight-loss food that makes for one tasty, scrumptious meal. They’re wholesome and full of nutrients and can help you cut down on those extra calories while keeping you feeling full for a long time. Don’t go in for those spiced up packaged instant oatmeals you get in the market though, you’d rather have them in a bowl with milk and fruits (berries make for an excellent combination!) or maybe just sprinkle some over your salads or soups.